The Player Performance Centre was established in 2012, and is leading the way in golf coaching within the North of England; providing a specific location where one could learn all elements of the game. The Player Performance Centre provides the very best facilities accompanied with the latest teaching technologies including TrackMan and High Speed cameras powered by GASP video analysis suitable for players of all abilities to work with the coaching staff at The Wilmslow Golf Club to develop skills and improve their understanding and most importantly their enjoyment of the game. Whether you want to dedicate time to swing improvements, a programme on short game or if you are looking to improve your putting, this is the perfect location. Tuition is available to members and non-members seven days a week for more information please contact the Professional Team on 01565 873620. "The Wilmslow Golf Club has always had a wonderful practice area, however, the recent improvements and the building of The Performance Centre means that the practice facilities are now world class. Practising is now able to take place whatever the weather and instruction has been taken to the next level especially with the use of TrackMan which is something I have used for the last few years. TrackMan gives all the data that Matthew and his team can use to help improve your game. Using The Performance Centre at The Wilmslow Golf Club can only improve your game"
"The new Performance Centre at The Wilmslow Golf club is one of the best facilities I have practiced at. Having travelled to many courses around the world it is up there with the best. It's great for great weather and good now with the indoor bays for bad weather and having good quality balls is something you don't normally find. The teaching studio is a fantastic facility and having the TrackMan available with Matthews knowledge of the system is just another reason practicing and getting tuition at Wilmslow is so good"
"I write to express my sincere thanks for the instruction I received from you recently using TrackMan at The Player Performance Centre. I took away a mental image of a swing that I knew I could replicate, one that is stored in my mind’s eye. The value of the lesson on TrackMan for me was I saw for myself the errors I was making, the fixes were individually tailored and the improvements were demonstrated and measurable. Thanks again for using your skill in interpreting my faults and explaining the remedies"
"The guess work has been taken out of the equation at the new Player Performance Centre. I recently enjoyed the experience of the fitting process for a new driver with the knowledgeable and friendly professional golf team. Seeing the golf balls true flight with the results backed up by TrackMan makes the process a no brainer compared to hitting into a net or just buying off the shelf. The process and results sold me the product plus the price was spot on. 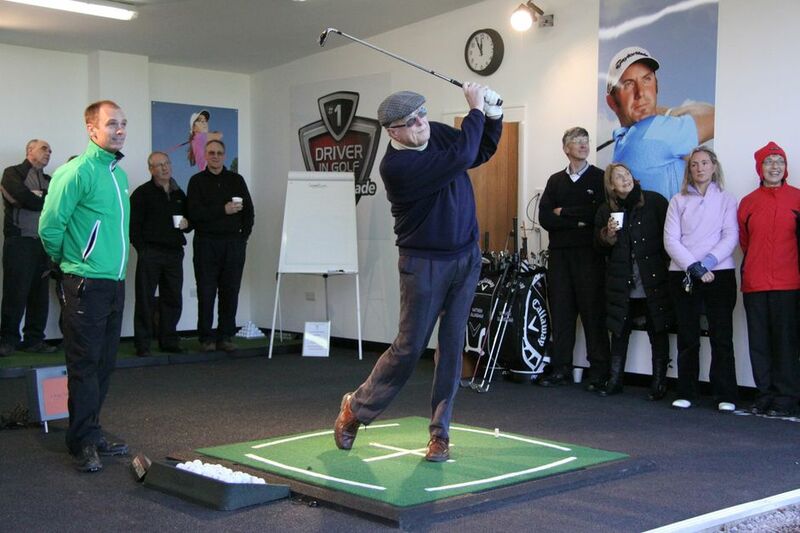 Don't hesitate to try it for yourself"
"Matthew fitted me with a new Titleist driver using trackman on the new range. It would be understating it, to say that this has added 30 yards to my drives, but more importantly far more consistency. The facilities at the range are terrific, the use of trackman an invaluable tool for assessing both distance and accuracy, and Matthew's patient and knowledgeable input, all combined, made the whole process extremely enjoyable, and I would recommend the experience without hesitation"
discover that he offered better value than I could achieve online." handicap by 3 shots. I feel much more confident with the new irons and wedges. I am now on track to reduce my handicap to single figures. Cannot recommend the service too highly".